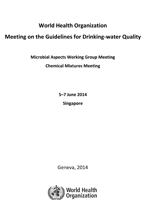 This meeting report presents the proceedings of the World Health Organization (WHO) Joint Expert Meeting on Water Quality and Health with support from the public utility board (PUB) of Singapore, held in Singapore from 5-7 June 2014. 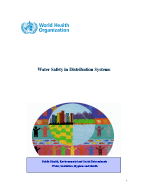 It focuses on the guidelines for drinking-water quality and discusses the post 4th edition activities. 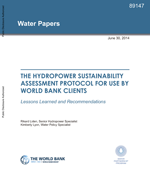 This report attempts to provide answers to the appropriateness, costs and requirements of the 2011 Hydropower Sustainability Protocol, as well as how it relates to existing procedures and standards for large infrastructure development. It also aims to shed light on the complementarity of the Protocol to existing World Bank policies and procedures and issues covered by its Environmental and Social Safeguards and Performance Standards, as well as to provide guidance on the Protocol's application by World Bank clients. 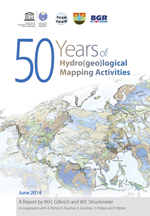 This publication describes small-scale hydrogeological mapping activities, which started in Europe fifty years ago and successively covered the whole globe. 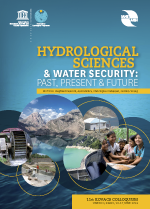 The report consists of three major parts, on (1) Hydrological Maps, General Issues and Surface Water Maps, on (2) Groundwater Maps, Tools and Results and (3) the World-wide Hydrogeological Mapping Assessment Programme WHYMAP. An Annex contains the list of relevant literature and of meetings and their participants, to the extent names could be still found in reports and files. 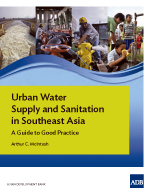 The purpose of this document is to provide stakeholders in Southeast Asian urban water supply and sanitation (meaning governments, utilities, consultants, donors, and non-government organizations) with a point of reference and some tools to move effectively and efficiently to improve both development and operational performance. It is a contribution toward ADB's overarching goal of poverty reduction. 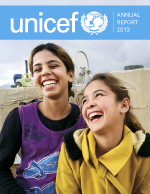 This Annual Report summarises UNICEF's work during 2013, with specific reference to the implementation of the Strategic Plan to guide equity-focused work over the next four years across all priorities: child health, HIV and AIDS, water, sanitation and hygiene, nutrition, education, child protection and social inclusion - and cross-cutting issues like gender and early childhood development. The report covers a wide body of humanitarian work that refers consistently to the importance of water and sanitation in achieving UNICEF's goals. 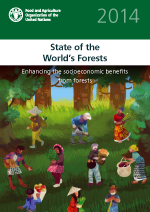 Executive summary of "State of the World's Forests 2014. 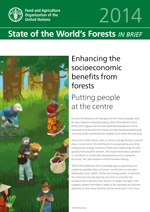 Enhancing the socioeconomic benefits from forests".